Zurich, District 4. The Langstrasse quarter, which the locals call “Chreis Cheib,” is where the wildest stories in the city originate. A mix of cultures, the red light district, the party mile, and gentrification are buzzwords that describe the area well and hint at countless anecdotes. You can get a sense of them if you take a stroll through the area; District 4 is an exciting melting pot of scenes, cultures, and generations. Yet that’s all changing fast, largely due to the development of the Europaallee, a building project over 78,000 square meters, creating a brand new quarter between Langstrasse and the main station. Jacqueline Blouin is a musician and deputy editor in chief of the Swiss fashion magazine Anabelle, which has its offices in District 4. Jacqueline grew up in Switzerland and has both German and Canadian roots. In 2015, she moved back to the city on the Limmat after years in Berlin. Always in touch with the latest trends, she shows us the most exciting facets of this quarter where so many different worlds meet. Now we head to District 4. Luckily, many of the routes in Zurich’s centre are short enough to walk. To get to the next quarter we start by walking to Langstrasse, which runs through District 4 and 5, and is where the party mile can be found. 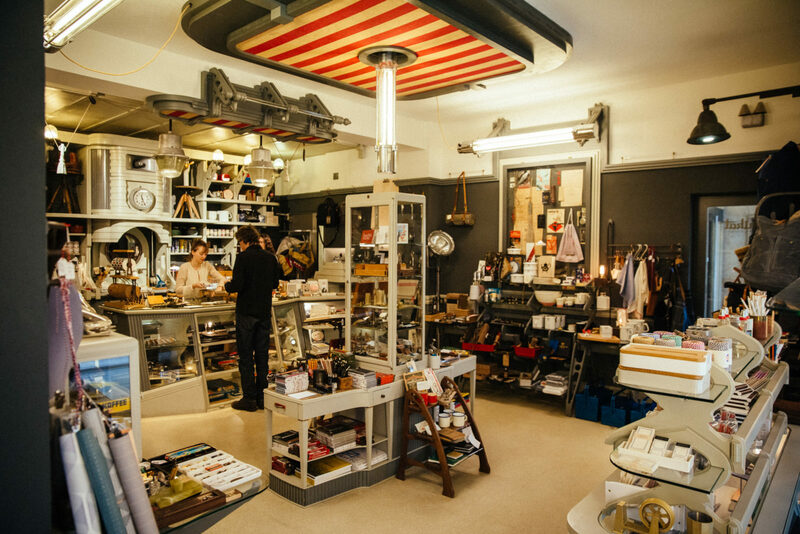 In the former shady neighborhood around the main tram station, next to established stores, there are some exciting new galleries, cafés, and shop concepts popping up, like the elaborate and impressive Fabrikat store, run by Regina Schibli and Gregory Donavan. Its range of handmade products — from pencil sharpeners to pepper grinders and toolboxes — can make the heart of even the most skeptical consumer beat faster. “Handmade products are nice to the touch and often have their own unique aesthetic. You can lose yourself in the lovingly- carved details,” Regina says. “What we want to create for ourselves is an opportunity to pause and reflect. When you make objects by hand, the pace of life seems to slow down.” This effect can also be felt just by looking at the smorgasbord of beautiful and practical products. “Their carefully selected range of handmade objects is a true joy,” Jacqueline says, eyeing up a few writing implements herself. The busy neighborhood calls us on, and we continue with the tour. Just around the corner and a few meters along Kanonengasse, we find ourselves on the Europaallee, or rather, the stretch that is still a work-in-progress even after years of construction work. Between the main station and Langstrasse, there are new shops, businesses, and housing. “Skater shops, bur-ger restaurants, yoga studios, and tea boutiques — it’s an exciting mix to discover, even if the area still needs to find itself: for now, it’s still a sleepy neighborhood,” Jacqueline says. 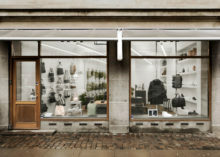 “I think it’s great that the requirement to have a shop here is a clear sustainability strategy, and that there are lots of Swiss brands on offer in shops, like Gris – Alliance des Créateurs Suisses and Feinraus. And I’ll give you an insider tip: Radix does great coffee.” The quarter will wake significantly when the new 25hours Hotel Langstrasse Zurich opens later this year, when Google move into their offices, and the Kosmos Kulturhaus into its space in the near future. Whether at home in Zurich or in any of the world’s big cities, Jacqueline is always drawn into a record store sooner or later. “I can never resist. 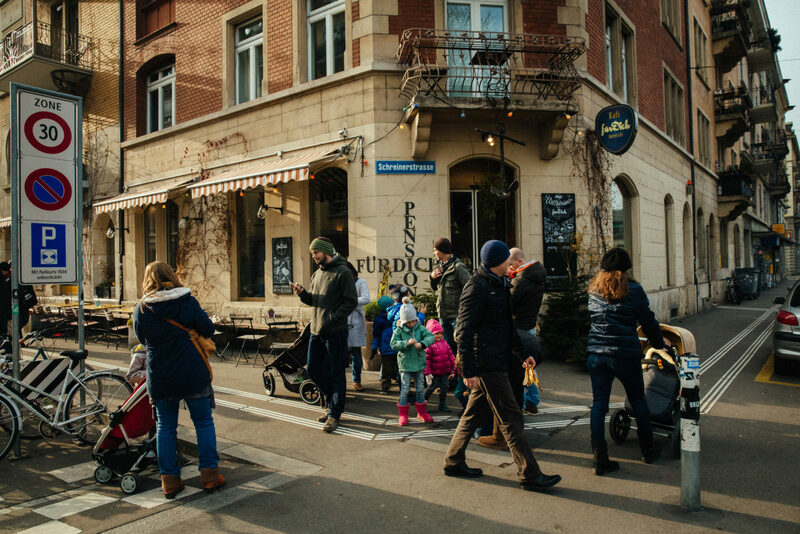 They’re wonderful places to browse, discover, find inspiration, and to have a break.” In Zurich, she recommends Rec Rec on Rotwandstrasse, which she thinks is the best record store in the city. It only takes us a few minutes to get to Rotwandstrasse from the Europaallee, passing through the Kanzleiareal green area. Veit Stauffer has run the record store since 1981, and they’ve been at their current address for 23 years. In the small shop, you can hardly move for records, CDs, and books. It’s completely charming. “How does the shop get by?” the musician asks. “People have been proclaiming the end of records for a while now,” Veit says. “But the labels keep bringing out new ones. My customers range from young to old, and I’m pleased to see that there are often new faces coming into the shop.” Jacqueline asks him about an oriental-looking CD box from Morocco. Before we leave the shop and head back to Langstrasse, she pulls out her wallet. And we start to get hungry. “Let’s share a ‘Friedensteller,’” Jacqueline suggests — a “peace plate.” That’s one of the dishes on the menu at Palestine Grill, one of the most popular snack bars in the city. From Rotwandstrasse, it takes us ten minutes to walk along Müllerstrasse, Hohlstrasse, and Langstrasse to get there. It’s on Piazza Cella, a name that almost all the city’s inhabitants find unusual. Unusual it may be, but they know it anyway; it’s sort of the epicenter of the party mile. This is where the party animals — whether they be bankers, hipsters, or prostitutes — meet when the sun goes down. Until late into the night, the best falafel and hummus in Zurich can be found here, Jacqueline tells me emphatically. Because it’s so popular, the queue is long and you have to be patient. If you want to enjoy your food in relative peace and quiet, go in the afternoon like we do. There’s always something exciting happening there, so you won’t miss out on the atmosphere. We went to Kafi für Dich afterwards for a coffee. To get there, we go down Langstrasse, amble past the cool bars, quirky clothes stores, and a new building where the vegetarian restaurant Hiltl will soon open. We turn right onto Stauffacherstrasse. The cozy café is opposite Bäckeranlage, a small park. “I like to come here to work,” Jacqueline says. “Or with my nephew Jay, because there’s a small play area in a corner of the café.” The café is very family friendly; we see several young fathers with their children at a long wooden table. They soon head off together to the play area. On the other side of the café, we sit on high stools and order fresh ginger tea. “They used to have concerts here, but sadly they’ve been banned because of noise levels,” Jaqueline says. That’s something that’s effected quite a few restaurants in the area in the past few years. But this hasn’t spoiled the atmosphere, and people still meet here, as they always did, to eat cake or to enjoy a Sunday brunch. Our last stop takes us back towards the Europaallee, to the workshop and showroom of Schönstaub. “Nadja Stäubli’s label for household accessories first made a name for itself with its unusual carpets. Since then, it’s expanded its range to include products like towels, scarves, and soap,” Jacqueline says. “Nadja’s designs catch everyone’s eye; they’re just very cool.” This is obvious as soon as you look at the products displayed in the window. Nadja gives us a warm welcome and we ask her opinion of the new neighborhood growing up literally right outside her door. Her words echo Jacqueline’s from earlier in the day when she described a sleepy neighborhood still in the process of waking up. Even though there aren’t many customers coming in off the street at the moment, she feels that her label is well placed here. After our trip around it today, we share her sentiment. Time is racing on, so we says goodbye to Nadja and step outside the shop. We look back on the day we’ve spent on the Europaallee building site, and try to imagine how lively it’s going to be here when the different worlds come together even more obviously in District 4. Thank you, Jacqueline for taking us around the neighborhood. Next time we are in Zurich we can live like locals and experience the welcoming atmosphere. This story comes from Companion #9, a magazine produced in collaboration with 25Hours hotels. Find more Companion stories here.